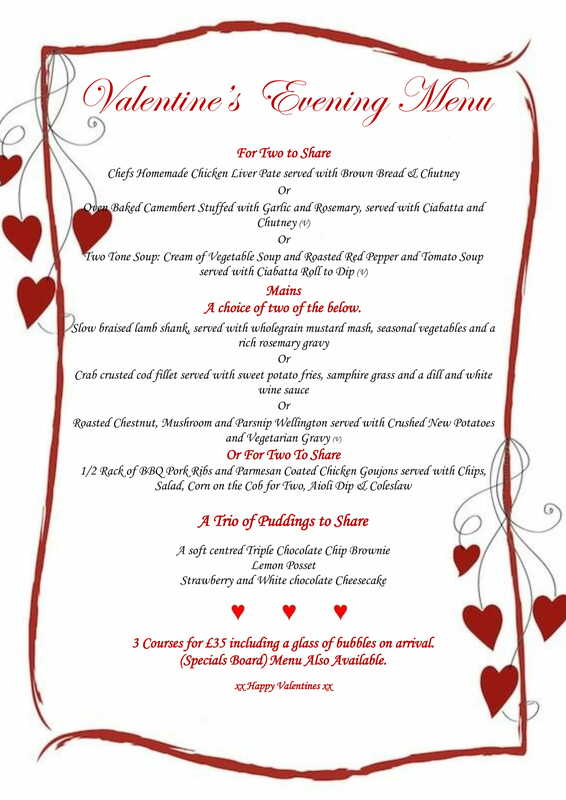 The Widemouth Manor wish all our customers a Happy Valentines Day, we are serving a special Valentines Menu for the Evening from 5.30pm. We will also be offering a specials board menu consisting of the Widemouth Manor favorites including our Philip Warren 10 oZ Rump Steak, Whole Rack of BBQ Ribs, Widemouth Manor Double Burger with all the trimmings, or our popular Fish and Chips etc. Booking is advisable call us on 01288 361207.